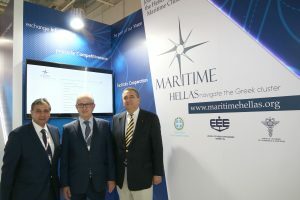 “MARITIME HELLAS navigate the Greek cluster” (hereinafter “the Site”) is a web platform designed and co-ordinated by NAFS (hereinafter “the Site Administrator”) to facilitate access to information sought by any user or visitor (hereinafter “the User”) relating to various providers and enterprises within the Greek shipping, economic and service sectors. These present terms govern the User’s use of the pages and information on the Site, which information has been submitted to the Site Administrator by the various persons, entities, providers and enterprises contributing to the Site (hereinafter “the Site Contributors”). Entry to and use of any information on the Site shall be on the basis of unconditional agreement to these Terms, which Terms shall apply to all Site content (including but not limited to individual pages, information, graphics, images and data). Site Contributors’ Data: All data appearing on any page in the Site has been provided by the Site Contributors and for the accuracy of which the Site Contributors remain solely responsible. Whilst the Site Administrator will use all reasonable efforts to ensure the accuracy of data displayed on the Site, the Site Administrator makes no warranty or representation whatsoever regarding the accuracy thereof and shall under no circumstances be responsible for or be held accountable in respect of any errors (including but not limited to patent/ typographical errors or inaccurate/incorrect information) therein. User dissatisfaction: The Site Administrator makes no warranty or representation whatsoever regarding the fitness for purpose of products supplied or otherwise howsoever in respect of the standard of service provided to the User by the Site Contributors or any of them and shall under no circumstances be responsible for or be held accountable in respect of or in connection with any User’s dissatisfaction with the same. General: To the extent permitted by law, the Site Administrator, any of its employees, agents, cooperating companies, or others involved in creating, promoting or in any other way providing the Site and its contents, are not liable for (i) any criminal, special, indirect or consequential loss or damage, any loss of production, loss of profit, or revenue, or contract, loss or damage to the clientele, loss of reputation, loss of right to compensation, (ii) any ambiguity concerning the information (description) of the service (including tariffs, availability and evaluation) provided by the Site Contributors or any of them, (iii) any (direct, indirect, consequential or punitive) damages, losses or charges that the User has suffered following to or in connection with the use, inability of use or the delay of use of the Site, or (iv) for any eventual (personal) injury, death, personal property damage, or other (direct, indirect, special, consequential or criminal) damages, losses or charges suffered by or through the User, either due to legal acts, errors, infringements, gross negligence, deliberate misconduct, omissions, non-performance, misrepresentation, tort or strict liability of the Site Contributors or nay of them or liability which is attributed (totally or partially) to him (his employees, management, officers), force majeure or any other incident beyond the control of the Site Administrator. No data concerning the User which may be considered as Personal Data under the provisions of Law 2472/97 shall be required to be declared as a condition of using the Site. 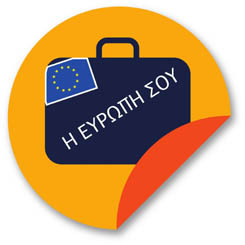 The whole content of the Site except specifically mentioned exclusions (intellectual property rights of third parties, professionals and institutions) including images, graphics, photographs, plans, texts, the services provided and in general all the data on the Site constitute intellectual property of the Site Administrator and are protected by the relevant provisions of Greek, European and International law. None of the above may be partially or fully exploited, copied, modified, reproduced, republished, transmitted or distributed in any way. All matters relating to the Site and its usage are subject to and will be interpreted in accordance with Greek law and any dispute arising from the present General Terms and Conditions and in relation to the matters therein encompassed will be submitted exclusively to the competent courts of Piraeus. In the event of conflict or ambiguity between the English language version of and the original Greek language General Terms and Conditions, the original Greek language terms shall govern.